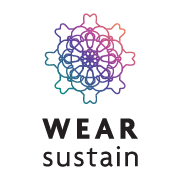 WEAR Sustain is managed by a consortium of 7 organisations across 5 EU countries: 4 universities or research centres and 3 SMEs. There is a balance of public and private entities, which ensures stability to the overall project while allowing the consortium as a whole to stay in touch with market trends in the creative industries, and in particular for wearables. As a trusted partner for companies, start-ups and universities we bring together close to 3,500 brilliant minds from over 70 nationalities. imec is headquartered in Leuven, Belgium and also has distributed R&D groups at a number of Flemish universities, in the Netherlands, Taiwan, USA, China, and offices in India and Japan. In 2015, imec’s revenue (P&L) totaled 415 million euro and of iMinds which is integrated in imec as of September 21, 2016 52 million euro. Queen Mary University of London (QMUL) is ranked in the top 100 world universities (Times Higher Education World University Rankings) and is a member of the Russell Group of leading UK universities. It generates circa £100m research income per year and has over 20,000 students. QMUL is investing 10% of total research income in new research equipment by 2018-19; over £250 million has been invested in 15 years. Blumine Srl., based in Milan, Italy, provide consultancies to fashion and textile SME in the field of Sustainability, with a special interest in the Design of Digital Technologies, Services and Interaction. Engaged in the studying economics, production, communications, and culture of sustainable and ethical consumption, Blumine Srl believes that Sustainability bridged with Digital Technologies will foster ethical social innovation as well as new opportunities for the creation of added value and development to SME providing services and manufacturing in the industries of Fashion and Design. DataScouts is an Ecosystem Intelligence Platform that allows to visualize, explore and engage with the connected organizations in a Business Ecosystem. Datascouts helps business developers and ecosystem leads to stay informed about trends, innovations and the vibrancy of their network. Mapping a Business Ecosystem is a continuous effort to monitor the market, technology trends, business performance of incumbents and new entrants. The platform allows to collect, aggregate and curate relevant business information, to explore the available data through interactive visualization, to share data and to annotate information in order to build and to tap into a common knowledge base. Your contribution will enable building a common knowledge base of all information that is relevant to your business and your network of connected organizations. DataScouts is developed by We Connect Data, a Belgian startup developing technology to aggregate data across applications and databases in real-time. With over 6,000 students, studying over 120 creative courses across four campuses, UCA generates unique communities of artists, designers, makers, writers and researchers. As a specialist arts institution, their distinctiveness against larger multi-disciplinary universities comes from focusing on provision through our creative campuses, which are not compromised by sharing facilities with other subjects or disciplines. The latest Research Exercise Framework (REF 2014) confirms their position as one of the top ten research communities in art and design, with 93% of our research designated as internationally recognised for quality, and 64% of our research submissions classed as world leading and internationally excellent in terms of originality, significance and thoroughness. Universität der Künste Berlin (Berlin University of the Arts) is one of the biggest, most diversified and traditional universities of the arts in the world. The teaching offered at the colleges of Fine Arts, Architecture, Media and Design, Music, and Performing Arts, as well as at the Central Institute for Continuing Education/ Berlin Career College encompasses the full spectrum of the arts and related academic studies in more than 70 courses. Having the right to confer doctorates and postdoctoral qualifications, Berlin University of the Arts is also one of the few art colleges in Germany with full university status. Digital spaces are digital, virtual or computer-generated worlds, but also the spaces we live in, where we use digital media, digital communication devices, digital gadgets, etc. The Digital Spaces Living Lab (DSLL) was founded in 2008 in Sofia, Bulgaria, to support industrial and academic partners working in the field of new digital media technologies, location-based services (LBS), and smart city services and apps. DSLL provides a creative environment for research and innovation, as well as new forms of direct user involvement in the innovation process. It aims to establish links between business enterprises, media partners, academia and citizens to ensure the successful collaboration between all these parties.